Richard has practiced law in Chester County for over forty years and has extensive experience in domestic relations matters. In addition to his distinguished career in private practice, Richard has served as a Chester County Equitable Distribution Special Master, a Mental Health Review Officer for the Court of Common Pleas of Chester County, a Chester County Juvenile Court Master, and was the first full-time Executive Director for Legal Aid of Chester County. 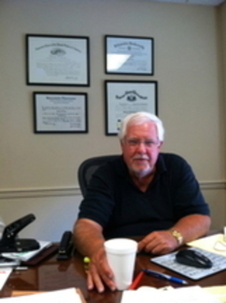 Richard currently focuses his practice exclusively on the division of retirement and other complex assets in divorce. He has substantial experience dealing with both SERS (the Pennsylvania State Employees' Retirement System) and PSERS (the Public School Employees' Retirement System) as well as pensions sponsored by the Federal Government, including FERS (the Federal Employees' Retirement System), CSRS (the Civil Service Employees' Retirement System) and Military Pensions.